Now that I think about it, my brother being slightly shorter might be because he was born a little early. Anyway, I always felt like I was tall in my family, but as soon as I get to school or work, I felt so short. I've had younger grades and younger people taller than me. I feel like every year just keeps getting taller. Well, it's a tempting assumption to make, especially when adding older, not only younger, people into comparison. Heard some say that it's also depending on kinds of food person had as a child/teenager... Not sure how well it works as a theory everywhere though. oh, and on topic - 1,85m. So 6 feet roughy? I felt like that is true for freshmen at my high school when I was a senior. When I was one, I was small. Now some of them are BIG! Hey I get that! Does it have to do with our perception maybe? If everyone looks back and sees the new seniors being giants we'd have basketball players for days. Every year since I was a freshman, (I'm a junior now) the freshman have been getting shorter. Oh yeah, that would definitely be true. I'm 6'2" (180 cm) and all of 130 pounds (59 kg). Every time I eat, I just get taller. Weird. I experienced a final growth spurt at age 19! With that I went from my constant 5'2.5 (for ten years) to a solid 5'3. I am actually half an inch taller than the last time 44R0NM10 and I hung out. 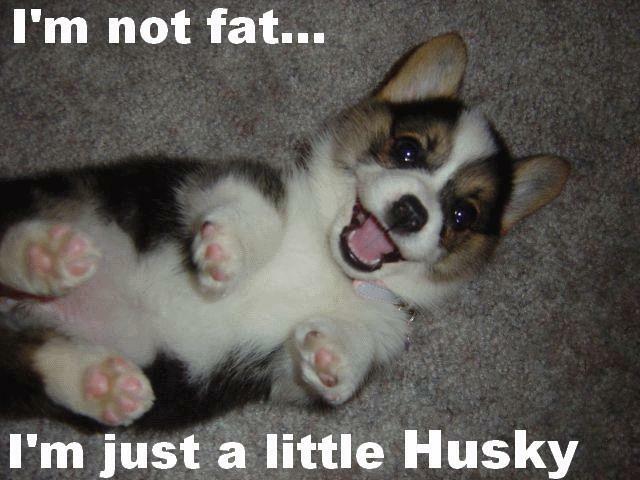 LOOK AT THE CUTE HUSKY PUPPY! I WANNA CUDDLE IT! Must cuddle! Hmmm. Last time I checked I was about 5' 7.5", I believe. 6' 3", I still feel short. Yes I found my meter stick!...and I'm still tiny. Whoa, I am tied with Hukley for the "lead". Well, I am 17 so I still might grow another inch. There are a few people at my school that are taller than me. That's why. Well whatever it is, I must have it! Then cuddle it! Do you live near a toxic waste dump? Wait. There are people TALLER than you are? Ok, all I can do is laugh at that. What, you never meet someone over 6' 4", it's interesting... Sleet why did you put it like that, now all can do is laugh. "Transforming little Melvin into a creature of superhuman size and strength! Melvin became... The Toxic Avenger!" The tallest person I have ever met was only 6'0". That's why I think its weird. If I remember correctly, average height is greater in Southern states. 6' or 183 cm is pretty common here, nothing unusual. 6'3 or 190.5 cm is kinda huge and 6'5 or 195.5 is heading towards being a giant. So they you have it Civilization. You are kind of huge and the people that are taller than you are giants! Where's Hukley in all of these, I need to hear what he was to say. Oh, found this website on average heights for Men and Women. Have you ever met anyone taller than you? This means that there is now 3 people here that are 6' 3" tall. A friend of mine is 6' 7". So Amazee Dayzee, what do you think of someone being 6' 7"
"Holy crap! Do you have gigantism that is untreated?!" My new boss is 6'4".